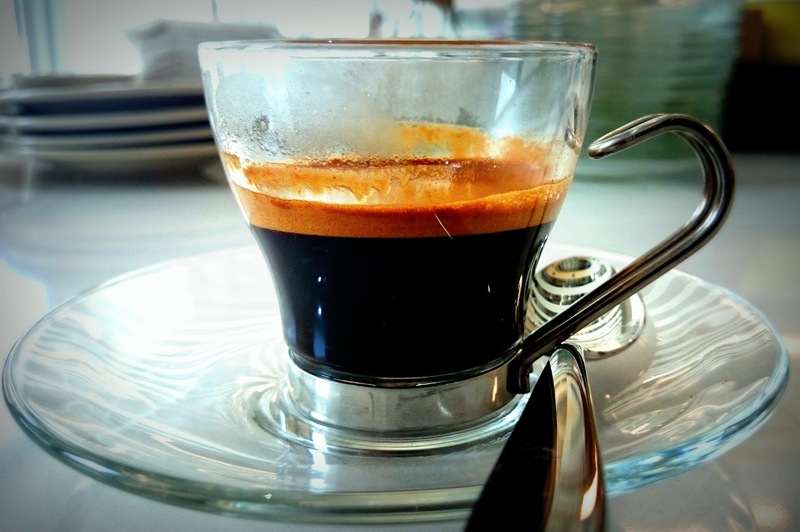 Crema is one of the most important parameters of espresso coffee. 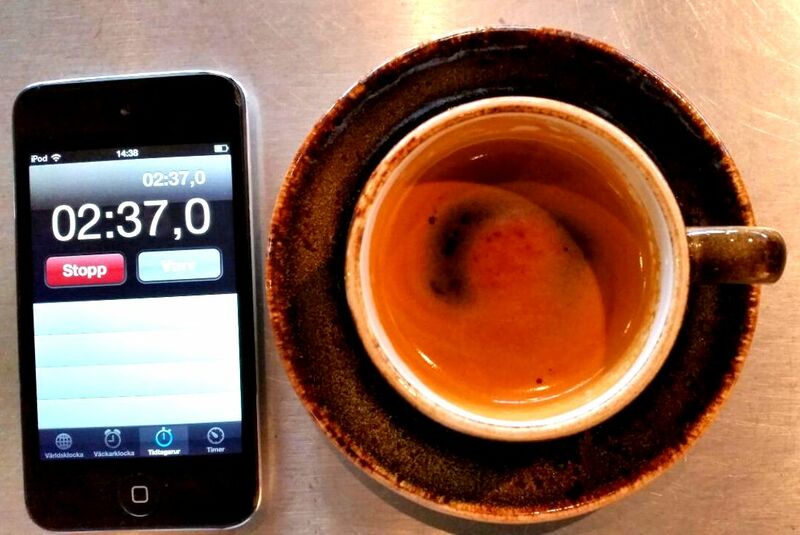 When an espresso is being percolated under optimum pressure and temperature, diffused carbon dioxide (CO2) that has trapped within the coffee cells along the process of photosynthesis, creates a micro foam layer on top level of the espresso. This layer of foam named as crema of the espresso. As coffee is an agricultural product, many of coffee’s fatty acids (fatty oils) are being created during the photosynthesis process and also via Maillard reaction through the roasting process. Those fatty oil molecules do normally contain a hydrophobic tail and a hydrophilic head. These hydrophobic tails together with CO2 molecules create the separation within the coffee liquid. Therefore we can see a clear separation of foam once espresso has been percolated. Apart from CO2 molecules, the layers of crema contain, water molecules, fatty oil molecules and some of the coffee’s flavour molecules and taste molecules. The layer of crema has the ability to keep the complexity and the taste balance of the coffee by preventing the evaporation of most of coffee’s fine aromas and flavours particles. Understanding the behaviour crema along the scale of time is quite fascinating. As mentioned above, structure of crema has built with CO2 molecules, water molecules, fatty oil molecules and some of the coffee’s flavour molecules and taste molecules. If you look under a microscope, crema’s top layer can be seen as a honeycomb that created from above molecules. Those surface active molecules have bonded to each other under some hydrogen bonds, van deer waals bonds or may be using some of the dipole-dipole interactions. Therefore all those inter-molecular bonds together have created a force within the layer of crema. We can rather call those forces as surface tension. Most importantly, there are some of the uncovered or unconnected areas of the crema layer. As an elaboration; there are microscopic areas that have very low surface tensions that occur by long distant dipoles or long distant air molecules. Van deer waals forces are inversely proportional to the six to the power of molecular distance. Therefore these uncovered or low tension areas created. With the time, water molecules that around these weak tensioned or uncovered areas are starting to leak through the crema into the liquid coffee. This action has the ability to damages the equilibrium of forces within the crema. Therefore, layers of crema start to break and allow those trapped flavour and taste molecules escape from the coffee through damaged areas. Existence of the black spots (holes) on top of the crema and decreased level of height of the crema, can be considered as the results of loss of equilibrium of surface forces. 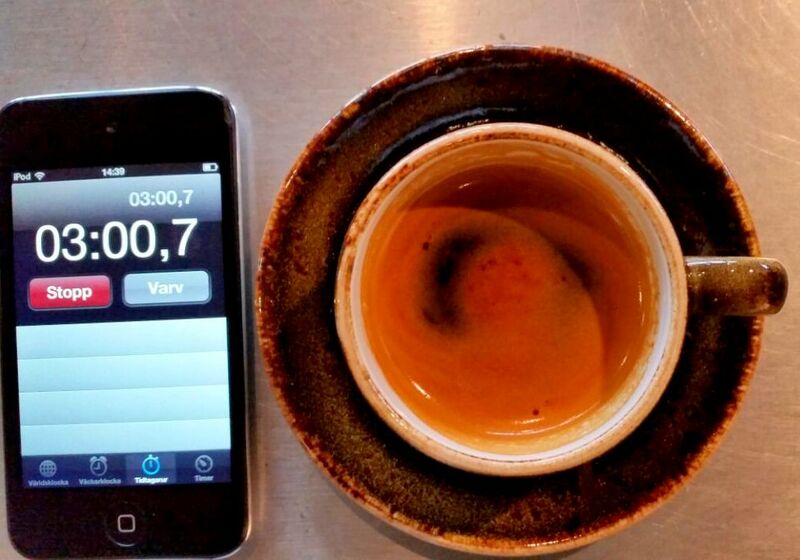 If we look at the chemical aspect of a resting espresso for a while, we can see, along the time percolated espresso can be turned in to more acidic. 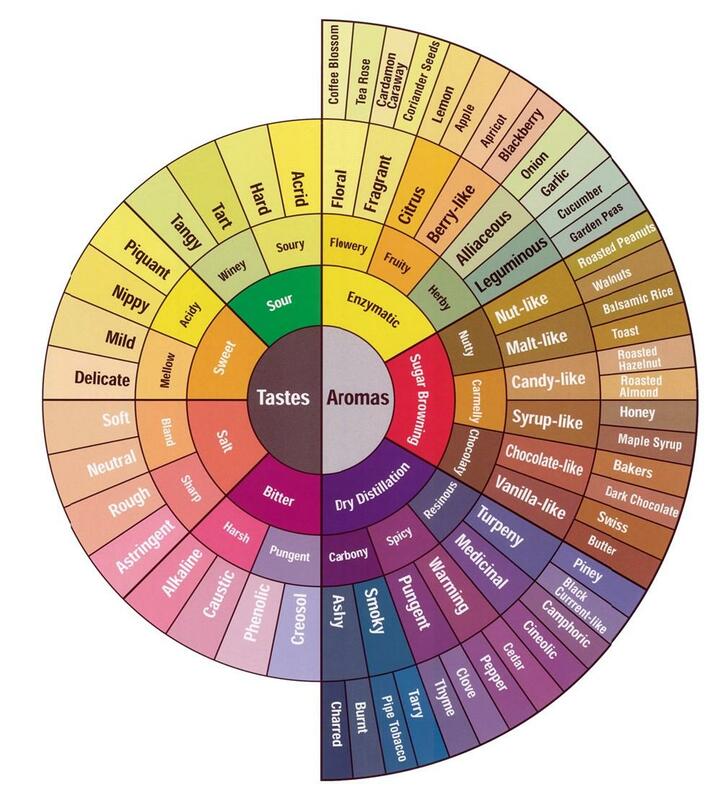 There are lots of chemical compounds that bring the sourness up front while tasting. Among them carboxylic acids are playing one of the major roles. Lactones are one of the thousands of chemical compounds that have embedded within coffee. Those lactones are esters that can be hydrolysis in to carboxylic acids by having contacted with water. Therefore, production of extra carboxylic acids by hydrolysis of lactones causes the ascent of acidity plot of an espresso taste graph along time. As a conclusion,leaving a percolated espresso for a while can be resulting absences of fine aromas, complexity of coffee’s potential flavour notes and it’s taste balance while higher acidity is being created. Tags: barista, chemistry, coffee, coffee chemistry, coffee cupping, coffee quality, coffee roasting, coffee science, dose, espresso, extraction, flavour, gastronomy, grind, latte art, SCAE, sensory triangulation, speciality coffee, taste. Bookmark the permalink. Cheers Victor, thanks very much. I’m from VIetNam, the second largest exporter of coffee in the world. I want to sell my country’s coffee to the world. Nice to be able to cooperate with you.